Ramon Tamayo is our guest on Brew Ha Ha with Steve Jaxon and Mark Carpenter. 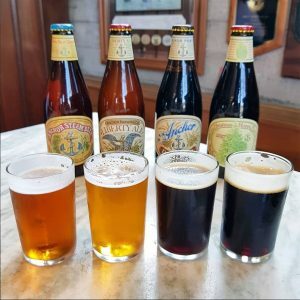 He holds Mark’s former job as brewmaster at Anchor Brewing in San Francisco. Mark Carpenter starts the show with a beer from Anchor and introduces Ramon Tamayo who is the current head brewer at Anchor. He says, “I picked up the baton where Mark left it.” He’s doing some very creative stuff, Mark says, such as a Brewer’s Pale Ale. Steve asks Ramon to tell how he got into brewing. He was a home brewer in college, which was necessary while he was too young to go out and buy beer. He loved the art and science and the enjoyment of the hard work. He just made beer to drink with his friends. He grew up in Petaluma. Herlinda mentions that he is part of the Tamayo family that founded a famous local business, La Tortilla Factory, which is famous. Mark asks him to explain the Citra Pale Ale. After Mark left Anchor, they opened a successful 7-barrel brewhouse. He made this beer in the main facility, just like the old was Anchor used to do it, 125 barrels. Ramon says he learned a lot from Mark at the brewery. Herlinda remembers a Gigantes beer, that they made to celebrate the San Francisco Giants baseball team. For him it was an honor to work with another iconic San Francisco brand. Mark tells about the way San Francisco was in the late 1960s, it was the time of the hippies and everything. “It was a fabulous time.” When he started at Anchor, they only made Steam. But they started Liberty Ale, the first IPA in America, and several other types that were the first of their kind. They also started a distillery to make whiskey and gin. Now Anchor has a brewpub now, and food trucks that come. Mark tells the history of Steam beer. With the Gold Rush came beer drinkers. The brewers tried to set up brewing as fast as they could. They did not have refrigeration so they could not make lager beer. They called “Steam” a beer that was an “artificial lager beer” fermented at temperatures that were more similar to ales or old school beers. They they would Kräusen it, which is a second fermentation. Mark thinks it serves to clean up the beer. It’s cleaner and crisper, which makes lager popular because it’s easy to drink. As soon as they could use refrigeration, other brewers stopped using this process, except Anchor. 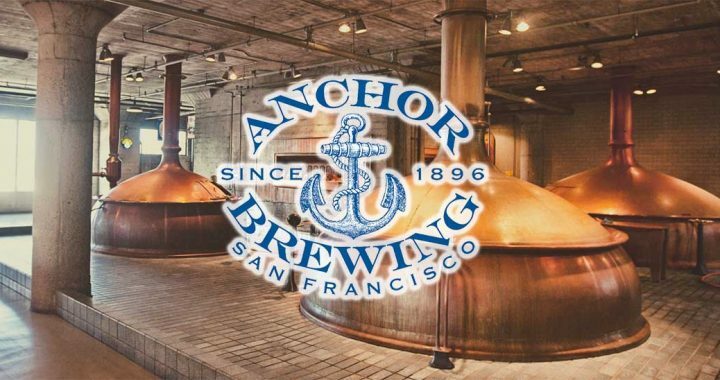 Anchor will always make Steam beer, it’s their main variety. They also do a Christmas Beer, that Fritz Maytag started many years ago. There is a different tree on the label every year. The recipe is pretty secret but he says they will have a Korean Pine Tree on the label. Herlinda says this year’s Christmas Beer is rich and stout. It’s available already, in late October.